Today is going to be a "Gravel Grinder News" Friday. Everything will be about new gravel events. Let's dig in, shall we? 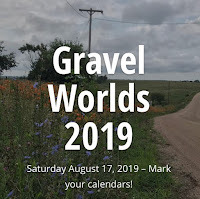 When Trans Iowa was retired, I began hearing from Jon Duke, (you may remember Jon as the photographer for T.I.v13 and v14), about a new, as yet to be named, gravel event based out of Grinnell. This event has been a long time in the making and is just now getting introduced. "This event is about having a good time, making connections and promoting all the good that comes from cycling. Proceeds from the event will go to Imagine Grinnell, a non-profit organization that makes the world a better place, or at least cities named Grinnell." 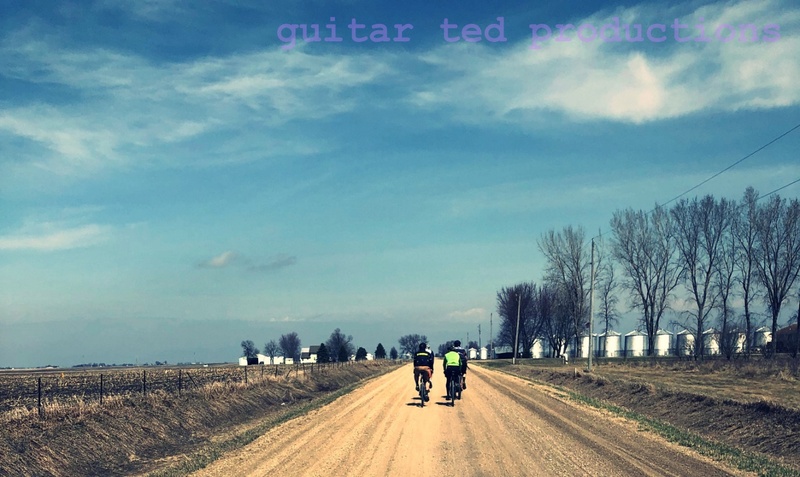 What's more is that afterward there will be live music, drinks, and food in the park for all the riders and for the Imagine Grinnell festival goers that will be there as well. June 8th, 2019 will be the date. Registration opens December 1st. This sounds like a great time and if you aren't sure about 100 miles, they have shorter distances on tap as well. A perfect event for beginner gravel riders, seasoned veterans of gravel looking for a good time, or for any cyclist that likes fun. The scenery is spectacular in and around Grinnell as well. Like I said, this ain't gonna be no Facebook page event, so the info for the C.O.G. 100 in March of 2019 is only going to be found here. The C.O.G 100 (Creatures Of Gravel 100, by the way) will have a mostly hilly, mostly gravel course around Grinnell, Iowa. The course design is being worked up now and should get re-conned in November. Registration will be on-line and we will announce that coming up soon. We've already decided on a field limit of 75, and hopefully we'll fill that out. I say "hopefully" because this is a single speed bicycle event only. Yes......only single speed bicycles. This does not include disabled geared bikes. We are being very specific in that you can only have one chain ring and one rear cog. Keeps it simple for us and no one can accuse anyone of shifting, because, well.........they won't have any cogs to shift to. So, realizing this will limit the appeal, ability, and both together, of some folks to enjoin in the festivities, I have to think getting 75 single speeders together might be a big ask. We're good with that. This will be a first year event and I'm not saying it will always be on this date, always be in this place, or will ever be done again. My motivation is that I wanted to provide a venue for a single speed only event. The idea has me excited, so we'll see how that goes and who knows after that. Okay, definitely not a new event! But it is a new date for 2019. This makes the cut today because.....well, Gravel Worlds! Need I say more? Maybe I do if you've never been there. You long time readers have read it all before though. I've been coming back regularly for.......what? Four years in a row? Yeah, I think that's right. And I did the first GW, plus the Good Life Gravel Adventure before that. I think I have done at least one other Gravel Worlds in there as well. Anyway, I have attempted this event more than any other. 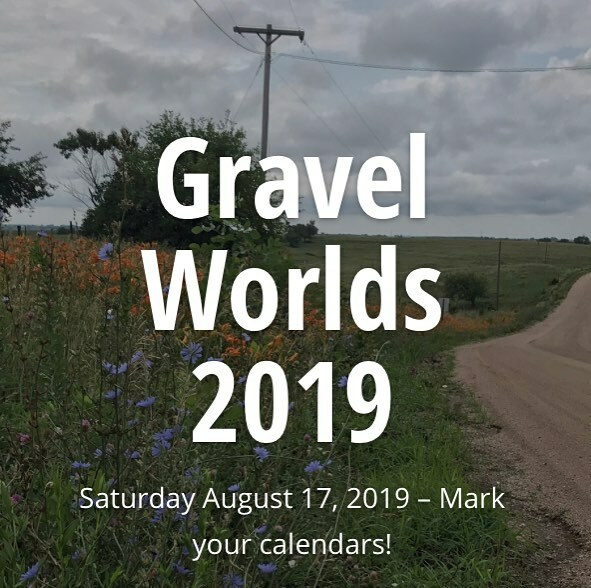 I can go to a lot of events, but Gravel Worlds figures heavily into my plans because of the venue, the people behind it, the camaraderie with fellow riders, and the challenge of the course. Don't forget the volunteers and oasis folks. I cannot really say it is "one thing" because Gravel Worlds is a sum of all its parts. Take any one thing out of the mix and the event would suffer because of that one thing missing. It needs to have all it has, and no other event does what Gravel Worlds does. That's a wrap for today. I hope you all have a great weekend and that you get some riding in. The Prairie Burn sounds exactly what I would love to see more of. The city has GREAT Indian Food! I met the guy who wrote up the Black Mountain Cycles Road Bike, in Orange, and now I too own one of these great bikes. It has been my only out-of-State trips, from California, since relocating from Cape Town. And I still wany to win the over 50's!